The Chess Grand Slam first edition (2008) is now completed, with five tournaments: Corus Wijk aan Zee (The Nederlands, January 11-27th), Linares (Spain, February 15th – March 9th), M-Tel Masters Sofia (Bulgaria, May 6-18th), Mexico City (June 21st – July 6th) and the Final Masters in Bilbao (Spain, September 15-27th). 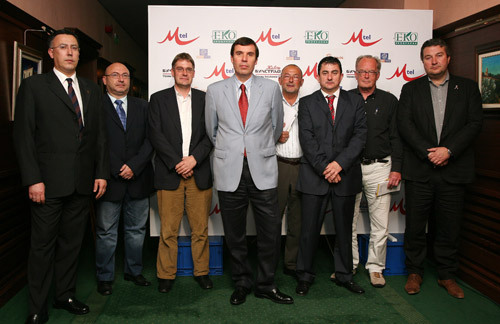 The Mexico City candidature, supported by its Town Council, has been unanimously accepted during the Grand Slam Chess Association meeting in Sofia, as it fulfils all the required conditions. The Bilbao Final Masters will have the winners of the other four Grand Slam tournaments. The total prize fund of the Final Masters in Bilbao will be 400.000 euros approximately.